Welcome to The Breathe Network! We connect survivors of sexual violence with healing arts practitioners that offer sliding-scale, trauma-informed, holistic support. We also provide education and training for professionals in best practices for delivering survivor-centered, trauma-informed care. Dr. Stern is a chiropractor with over 33 years in private practice. Focused on wholeness, he has a unique and integrative approach to health and wellbeing. 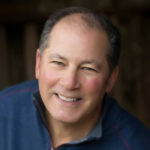 Over the decades, Dr. Larry has trained in Chiropractic, Sports Medicine, Network Spinal Analysis (NSA, also called Network Care), Corporate Wellness, Personal Development and Leadership. He brings forth a heart-centered approach and a special combination of skills and services. Dr. Larry’s compassion, insightfulness and commitment to his patients generate confidence that even chronic or otherwise intractable conditions will find resolution. He uses Network Care along with Chiropractic, Wellness Consulting and The Hakomi Method to uncover the underlying causes of ill-health and makes the necessary changes that will accelerate the journey to optimal health. My experience working with survivors is one of immense satisfaction in being able to provide freedom, ease and flexibility to one’s nervous system. The joy of not being “trapped” inside of victim-filled conversations, the ability to be present and mindful and the experience of being alive and well is what I look forward to seeing in having my patients stand in their power! As a survivor myself, I have experienced, first hand, the difficulties in managing life, staying out of the way of destructive thoughts, feelings and actions. My career, my practice is dedicated to those whom life is seemingly out of control and, at times, out of reach. The least that I can do is to extend a loving and compassionate hand and heart along with the care that I render. I care for people from a vitalistic approach. Wholeness from a mind, body, spirit perspective versus condition based palliative care. My services are designed to provide a space of discovery, transformation, awakening and integration. Trauma-Informed Care is too, a holistic, person centered approach. The two models are a match for growth and expansion in my center. Network Spinal Analysis (NSA), involves the use of a series of gentle contacts (an entrainment) along areas of the neck and spine which alert the brain to release chronic tension and trauma, as well as everyday stress, from the spine and nervous system. Unresolved stress will create tension in the spine, muscles, and nerves, causing tension to the body’s organs and systems. This can lead to varying states of pain and disease. Somato Respiratory Integration (SRI) is a chiropractic regimen pioneered by Dr. Donald Epstein, along with his innovative practice of Network Spinal Analysis. Aimed at allowing an individual to explore and benefit from the deeply intimate connection between their internal rhythm and their mind, SRI entails the practice of a series of breathing exercises. The gentle force of your breath and respiratory patterns, coupled with light movement and delicate touch, enables you to focus in on your own physical rhythms and simultaneously tap in to the healing power of your inner self. Wellness Coaching involves a powerful and dynamic one-to-one interchange, I work to empower and clarify the purpose, passion and direction of one’s self and one’s life. I listen for widening perspectives and explore what there is to focus on, let go of, what the patient is passionate about, where they find themselves getting stuck and which structures, practices and timeframes will support them in achieving those results. The Hakomi Method (In Training) Hakomi helps people change “core material.” Core material is composed of memories, images, beliefs, neural patterns and deeply held emotional dispositions. It shapes the styles, habits, behaviors, perceptions and attitudes that define us as individuals. Hakomi is a body-centered, somatic psychotherapy. The body serves as a resource that reflects and stores formative memories and the core beliefs they have generated, and also provides significant access routes to core material. We somatize our life experiences, traumas and events within the cells of our nervous system. This causes the fight or flight response that often remains as a chronic disturbance in the central nervous system. In a series of levels of care, Network Spinal Analysis will discharge, reset, restore and reorganize the nervous system for deeper healing and enhanced wellness. I have to match the “tone” of the individual and where they are at on any given healing session. I might soften my voice, create a greater loving presence space, or ask for permission to make the contact on their spine. I might even decide that “today” is not a good day for body-centered care. I am able to offer a sliding-scale. Users of The Breathe Network’s resources assume responsibility for evaluating and selecting the providers included in our network. Please discuss your specific needs with the provider to determine whether they have the skills to assist you in your healing. Have a comment or question? Please visit our Contact Page to share. Keep up with our social media accounts by following us on Twitter, Instagram, Facebook and Tumblr. To join our network of service providers, please visit our Practitioner Page.